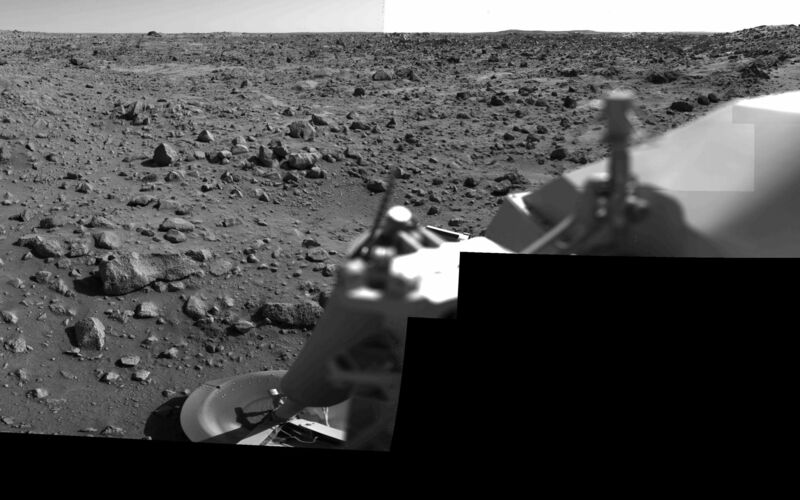 During the Viking Mission, the Viking Lander Camera System acquired many high-resolution images of the scene at Chryse Planitia. Using individual camera events, which occurred on many days throughout the mission, computer mosaics have been created for the site as viewed by each of the two cameras on the spacecraft. Two sets of mosaics were produced of Chryse Planitia; one pair for camera 1 and 2 images acquired in the early morning and one pair for camera 1 and 2 images acquired in the mid-afternoon. Each complete mosaiced scene extends 342.5 degrees in azimuth, and from approximately 5 degrees above the horizon to 60 degrees below. A complete mosaic incorporated approximately 15 million picture elements (pixels). 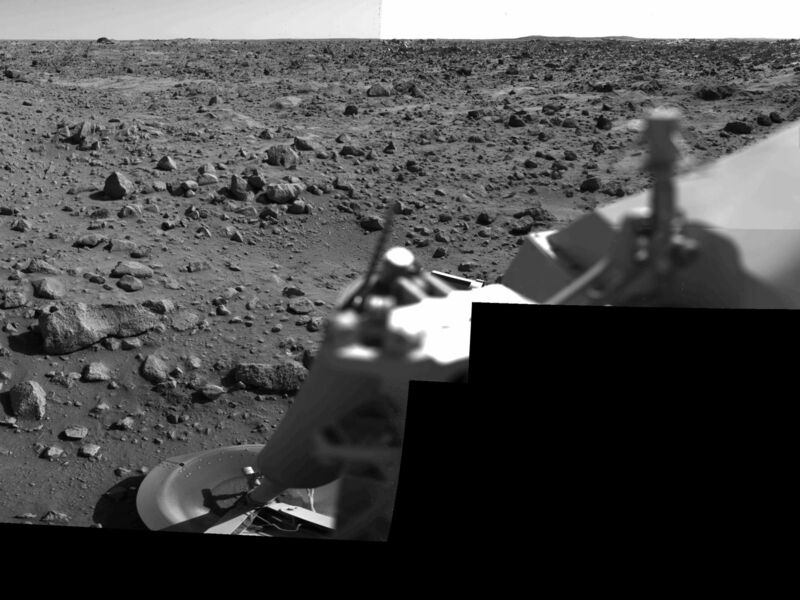 This mosaic was produced in the early morning (14:00-15:30) by the Camera 2 system on Viking Lander 1. 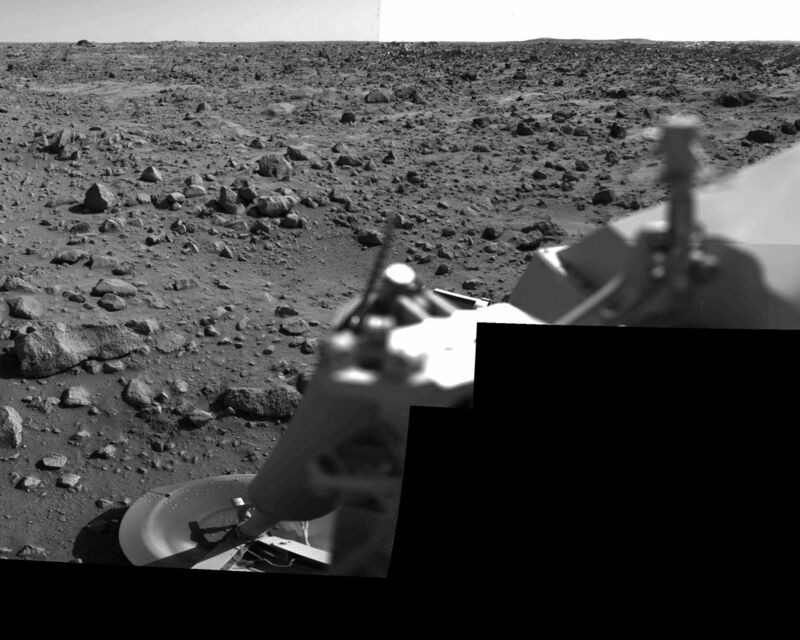 See PIA03165 for the afternoon Camera 1 mosaic and PIA03163 and PIA03164 for the morning mosaics.